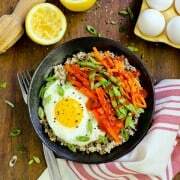 Full of flavor, these Lemon Quinoa and Egg Bowls with Veggies and Sriracha are my latest breakfast, lunch, and brinner obsession! I always feel the best when I’m eating and drinking in a healthy way on a regular basis, with pops of indulgence as reward for doing so. And one of the ways I accomplish feeling great is by making sure I’m incorporating protein along with a rainbow of fresh fruits and vegetables in my daily menus. Lately I’ve been on a lemony quinoa kick, loaded with protein, fiber, and minerals. Add an egg to the dish, and I’ve got another excellent pump of protein, just the energy boost I need to get me through my day. 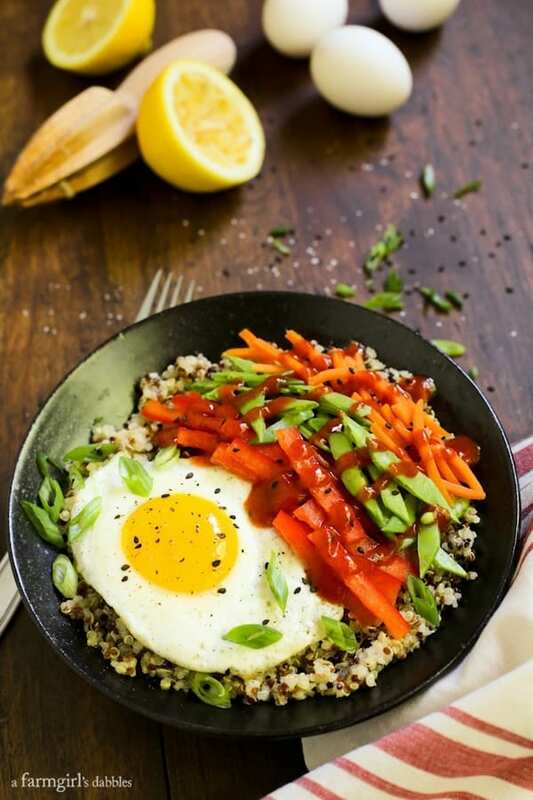 Full of flavor, these Lemon Quinoa and Egg Bowls with Veggies and Sriracha are my latest breakfast, lunch, and brinner (breakfast for dinner) obsession. This post is sponsored by the American Egg Board, with whom I’m honored to be partnering with again this year. Last year I shared a number of posts on Facebook in collaboration with the American Egg Board, and this year I’m happy to be adding in a few blog posts and recipes to the mix. I believe in the protein power of eggs and eat them almost every single day, so this is such a naturally awesome fit for me. Sometime over the past year, Dad had been cleaning out old paperwork. From his discard pile, he gifted me some of those papers in a child-sized shoe box, worn and obviously quite old from the looks of it. On the outside of the box was declared “Brenda got new shoes” several times in my dad’s and my own young handwriting, an obviously happy memento of a new pair of shoes back in the day. On the inside of the box were receipts and invoices Dad had saved over the years, to include miscellaneous statements from the Wheaton (MN) Community Hospital during the year of my birth and handwritten grocery receipts from E.L. Stavig general store in Rosholt (SD) when a jug of milk was just 74 cents. Also in this faded cardboard box were a couple of receipts from the times when Mom took the eggs into town to sell. She liked having her own fresh eggs on hand, but always collected more than our family could consume. 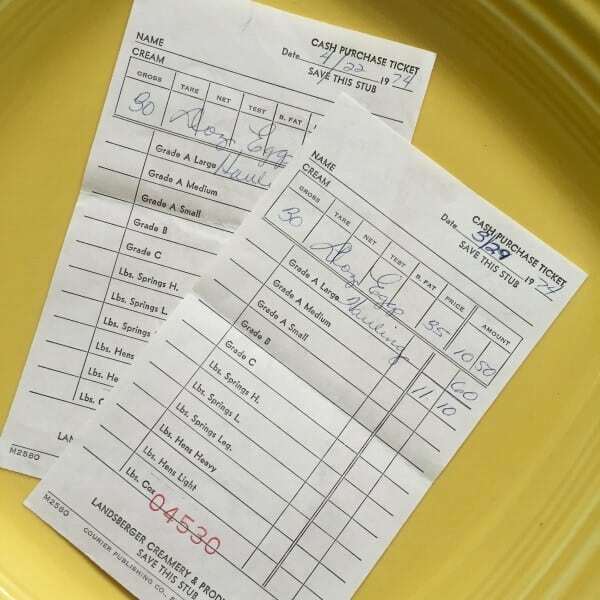 By selling what we couldn’t use to a local restaurant and creamery, Mom was able to raise a little extra money to help pay the bills. Today’s egg farmers carry with them the same commitment to their families, proud to provide Americans with affordable, nutritious, and delicious food. The promise starts on the farm and continues through from the processing plant to the delivery truck to the grocery store, and then ultimately to your table. Most eggs in the U.S. reach the grocery store within one week. I think that’s pretty amazing! To learn more about how eggs get from the farm to your table, be sure to visit Incredible Edible Egg’s Good Egg Project. 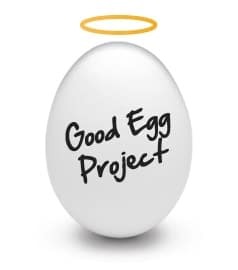 You can also find them on Facebook, Twitter, Pinterest, and Instagram, and by using the hashtag #GoodEggProject. These brightly flavored lemon quinoa and egg bowls are goodness through and through, and so pretty. 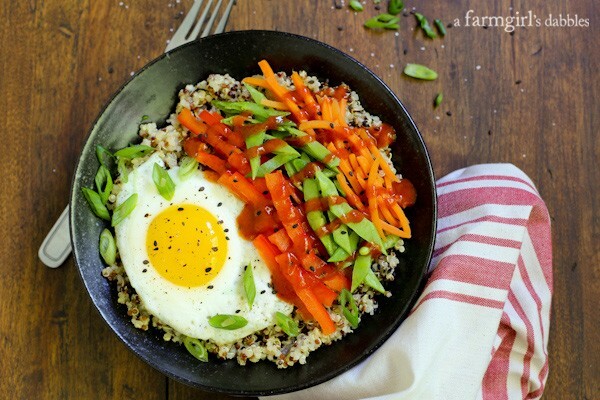 For easy meals throughout the week, prepare the lemony quinoa and veggies over the weekend. Then simply prepare an egg to top your bowl. In a small bowl, whisk together lemon juice, honey, olive oil, salt, and black pepper. Stir half of the lemon mixture into the quinoa and set the rest aside. In a small pan on the stove top, bring 2 cups of water to a boil. Add shredded carrots and cook for 1 to 2 minutes to slightly soften. Drain and then place carrots on a paper towel to dry. If you like your carrots crunchy, skip this step and just add the carrots raw. To assemble, stir more of the lemon mixture into the quinoa if desired. Then divide quinoa between four bowls. Top with carrots, snow peas, and red bell pepper. 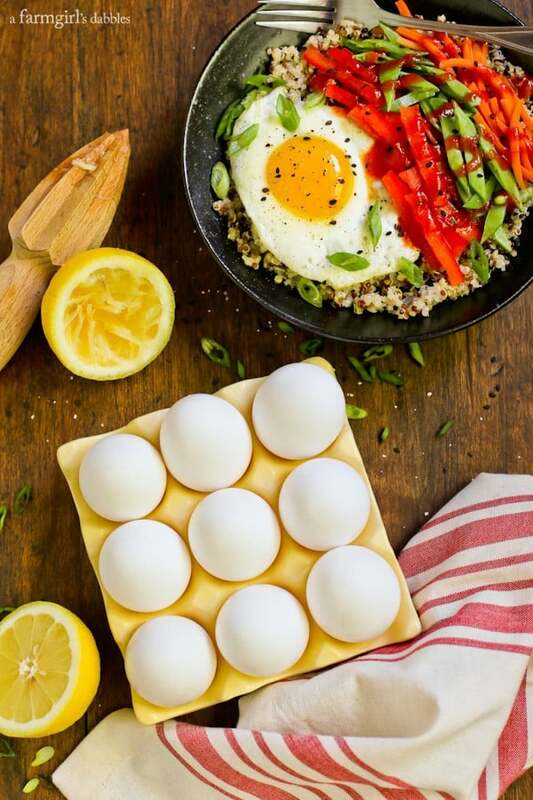 Then add an egg that has been prepared in your favorite fashion – fried, poached, hard boiled, soft boiled, scrambled – to each of the four bowls. Drizzle a bit of sriracha sauce over the top and sprinkle with green onions and black sesame seeds.